Helping each other master the art of a senior life. I think March for Our Lives is a much needed and long overdue response to the threat we are asking children to live with daily. It has never been acceptable that automatic weapons are so easily accessible to the public, much less that young people are at risk in their place of education, a supposedly safe zone. For the marches and rallies to truly make a difference, we need to make the movement sustainable. This means keeping the pressure on politicians. Wielding our dollars wisely. Checking where our investments are going. And most of all, making sure that those pressing for change are given as much support as possible. Activism takes a lot of physical, financial and emotional energy – all of which is an overwhelming burden to add to young shoulders. We are each accountable to make sure we are doing our part to lessen the load. In recent months, I have been struck by what I am calling “The Culture of Disavowal”. Disavowal is a conscious process of knowing something to be true but acting contrary to that knowledge. Denial, on the other hand, is an unconscious process whereby information is not accessible to conscious thought. The difference is quite significant and we can observe it in social media, policy, and social activism. The data on access to guns is clear, that guns in households increases the incidents of suicide, homicide and accidental deaths. While this is widely disseminated information, elected officials and community members elect to operate as though it is not true, giving way to policies that encourage guns in schools as a safety measure, for example. Were we to take action based on information that is known, the results would be quite different. Shared information, whether on climate control or gun violence, would and should foster open dialogue and policies developed based on actual data. So, why is this not happening? Our minds selectively screen out that which does not support our core beliefs, in other words, we disavow input that is not syntonic with what we want to hear. This dynamic is very dangerous and needs to be addressed at every level. It can, and has already contributed to dire consequences in our country. We must confront disavowal at every level in our society and hold people accountable for acting in accord with known and well documented information. Proudly, our young people are looking at what is happening, holding their elders accountable and hopefully in time will vote in accord with their knowledge and beliefs. Now retired, I taught in a public high school for thirty five years including during Columbine in 1999. Students then did not have cell phones, social media and the voice they apparently do now. When Columbine occurred I think they believed it was one of a kind massacre, that adults would protect them and others from gun violence in the future. Young people today know that did not happen and share the frustration we, who have always been for more reasonable gun control laws, have. With others in my NORC, I shared our views yet again with senator Toomey’s staff (both of whom were too young to experience Columbine personally.) It seems to me that the youth of today must ally themselves with us, and we with them, to make authentic gun control a reality in this country. We know how to organize, we vote, we have some funds to contribute and most of all, we have time to listen to their concerns. We have invited a number of urban and suburban students to our building to tell us their views and in return, we will offer our help. The gun control effort is not new, but will fail again if we expect the youth to go it alone. This nation has a better chance for safety if we sincerely unify around this issue and keep it alive. I hope we do not sit passively and watch the news to see what happens, but proactively support the students and anyone in our circle who wants to talk, and need to register to vote. Thanks for this forum to get our juices flowing and muster the energy to continue to work for a better country. Now is NOT the time to relax. I am not a matriculated student of human nature. Not endorsed by any university or credited by any experts in the field. It is just my own raw observations and collusions. Marches are herd mentality. Animals have been doing it for eons…banding together for safety sake. So exactly what do human marches achieve? Notice, recognition? Yes, but does it achieve it’s goal? No, to those of differing opinions it turns them negative. Setting up a bigger ” Them &Us ” attitude. News reporters looking for new angles, nit pick -out of context, that which supports THEIR agenda, reducing the march to nothing more than news bites. Tempers flair, name-calling and violence ensues. The original purpose of the march is lost and the only thing left is the trash in the streets. Criticizing is easy, solutions are harder to come by. How can the “Little Man,” thats you and me, have our wishes be heard without the above mentioned fallout? Therefore I humbly offer the following. I AM NEITHER FISH NOR FOWL. I STAND UP STRAIGHT AND TALL FOR MY BELIEFS. NO NEED FOR CROWDS TO GIVE ME CREDENCE. WRITE, RESPOND OR I CHANGE MY VOTE. TEXT, RESPOND OR I DELET YOU. E-MAIL, RESPOND OR I WILL CLOG YOUR MAIL BOXES. CALL, RESPOND OR I WILL TIE UP YOUR LINES. If half the people of marches did this their wishes would be heard, acknowledgements forthcoming, and perhaps even positive action. We are part of the fastest growing part of the population: senior women in their retirement years. 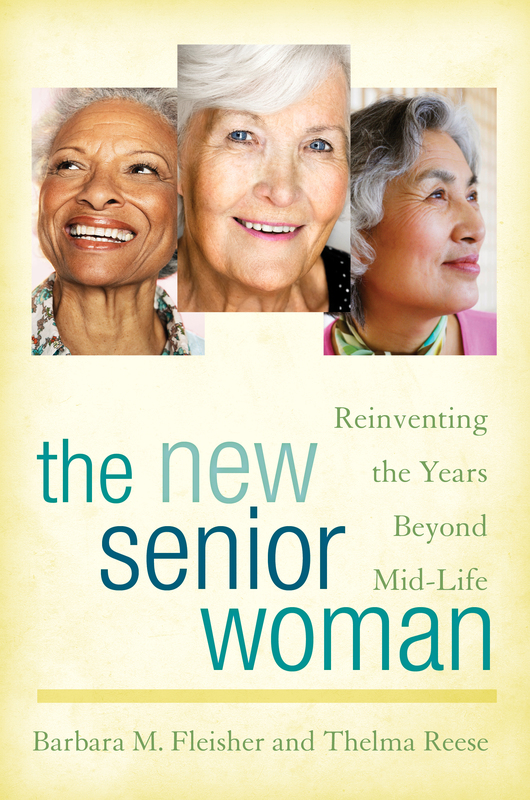 Senior women living in a world most of our mothers and grandmothers didn’t imagine, let alone inhabit. Share your story and join the conversation. Visit our new blog, ElderEssays! When you subscribe by entering your email address here, you will be notified, via your email inbox, each time there is a new topic for discussion on the ElderChicks blog. You will also be notified by email whenever there is a new post written by someone in our community. So, go ahead and sign up! We'd love to have you and of course, we promise NEVER to share your address with anyone, ever. Come on. Go ahead. It's FREE! It’s Easy! Just Click Here to Learn How.